Place the almond milk, cream, icing sugar, vanilla and espresso in a large jug and whisk to combine. 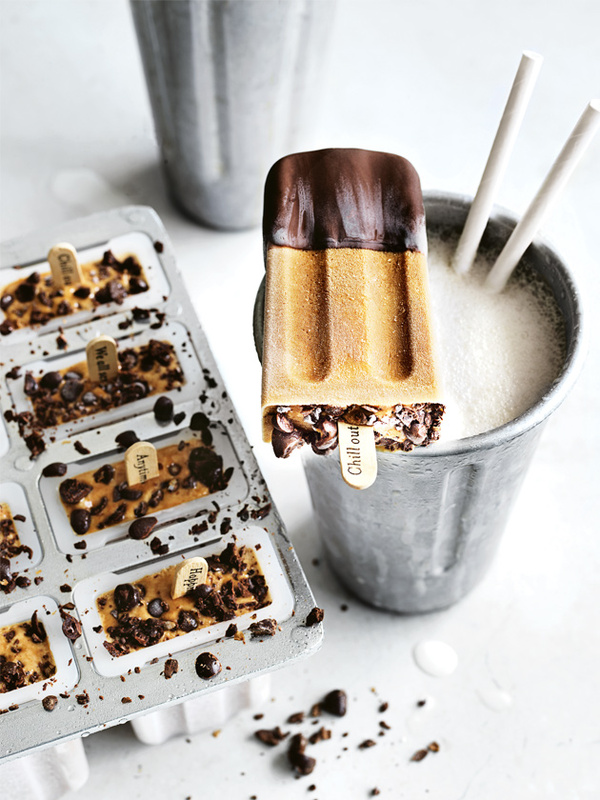 Pour the mixture into 8 x 80ml-capacity popsicle moulds, cover with aluminium foil and insert popsicle sticks. Freeze for 3 hours or until the tops are just frozen. Remove the foil, sprinkle with the cacao nibs and freeze for a further 3 hours or until completely frozen.